A rip-roaring sequel to the adventure the New York Times called "engrossing and unpredictable, with likable heroes and charming accomplices." Terrible news has reached cat brothers Anton and Cecil: their rodent friend Hieronymus has been captured. 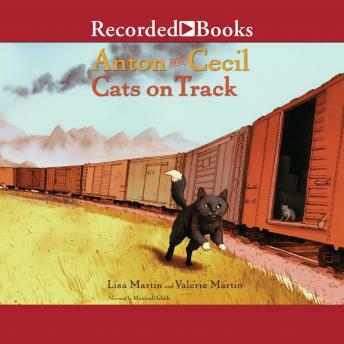 Anton and Cecil must try to rescue the mouse who once saved Anton's life. Boarding one of the monstrous machines the mice call "landships," the brothers travel to the Wild West. Along the way Cecil is tossed out onto the prairie by the train's conductor, only to face bison, prairie dogs, and a boy who would make him a pet. Meanwhile, Anton meets a ferret friend who warns of stampeding herds, rattlesnakes, and fierce, enormous cats. Facing such danger, can Anton and Cecil find the courage and wit to save Hieronymus?